Find more tip in Part 1 and Part 2. Get packing supplies from someone who just moved. that they don’t need. Blankets and sheets are a must for protecting furniture and easy to come by at Goodwill or yard sales. Post a flier at nearby apartment complexes asking anyone who has recently moved to let you salvage their gently-used packing paper and bubble wrap. Not only do used moving supplies lower the cost to move, but it also is a “green” best practice as your move will consume fewer resources. Tip #5 – The Off-season. The highest demand for moving equipment, vans, and workers is during the summer and at the start and end of the month. This means that prices are inflated at these times. Work with the seller or landlord at your new home to choose an off-peak move date. Tip #6 – Get an estimate and negotiate. Not all movers are the same. Begin the process of selecting a mover by asking friends referrals. Facebook is a great way to do this. Once you have the names of a few movers, schedule in-home price quotes so that a consultant can perform a visual inventory. Show them absolutely everything you have from top to bottom and ask what the price estimate includes. Ensure there are no extra fees after the move. Tell each you are comparing companies and selecting the highest quality for the best price. Finally, make sure that your get the quote in writing. Tip #7 – DIY! Get strong boxes and more packing material than you think you will need, including permanent markers to write contents on the boxes. Line up trusted friends well in advance and verify a few days prior to the move they will be there. 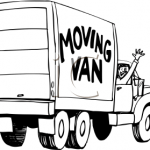 Stage or number your items to be placed in the van in order to make it easier and faster for the movers. There are sites that offer efficiency tips on packing boxes and loading a truck to minimize space. If you’re driving long distance, you can even pack some pack some low-cost meals. The bottom line: the more stuff you hoard and the less you prepare, the more expensive and stressful it is to move. If you follow some of the preceding tips, you can significantly lower the cost to move. Anyone with a moving story – and, by all means, share yours with us in the comments below – will agree that making a game plan and paring down possessions well in advance are key to saving money and finding Zen. This entry was posted in Do It Yourself, Saving Money and tagged cheap move, de-clutter, decluttter, how to move, moving stories, moving tips, reducing moving expenses, save money moving, yard sale how to on September 6, 2011 by Jim McKenzie Smith. Tip #2 – Lose weight, lower the cost to move. You need to be honest about what you really need to keep. 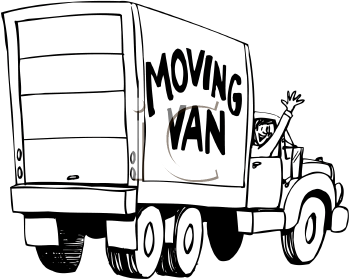 Whether you are paying a professional, hiring two guys and a truck, renting a U-Haul, or using your friend’s van, more weight means more a more expensive move. There are many easy ways to slim down. A great first step is to evaluate your bookshelves. I have moved boxes upon boxes of new and used books from Oregon to New York (plus the three cities in between). I now shudder to add up the true price of each book, many of which I am guilty of never reading. An online price quote tool estimated an average move to cost $1.40 per pound. One book can easily weigh one pound; a textbook or reference book often weighs more than 5 pounds. Now consider that the average household has between 100 and 400 books. You are potentially paying hundreds of dollars to move those books. 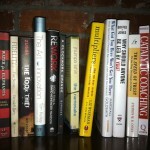 Cash4Books.net is referenced by many bloggers as a smart way to de-clutter for extra cash. This is a double-whammy win because not only do you keep from dishing out cash to move them, but by selling your books you also walk away with extra money to tip your mover, buy your friends pizza, or buy new books at your new location! Also consider the storage fees and the valuable hours spent unpacking and finding nooks, shelves, and closets to hide or display your books that you may never read again. For other items like used electronics, clothes and furniture there’s a plethora of re-selling used goods to be done online and it’s not difficult. Finally, measure your furniture and tape off the areas in your new home where you envision placing each piece. Host your own going-away party and let friends make offers on the items you can’t take. You’ll be able to visit anything to which you are emotionally connected later! I love propping my feet up on “my” coffee table in Brooklyn when I visit. Tip #3 – Yard Sale! 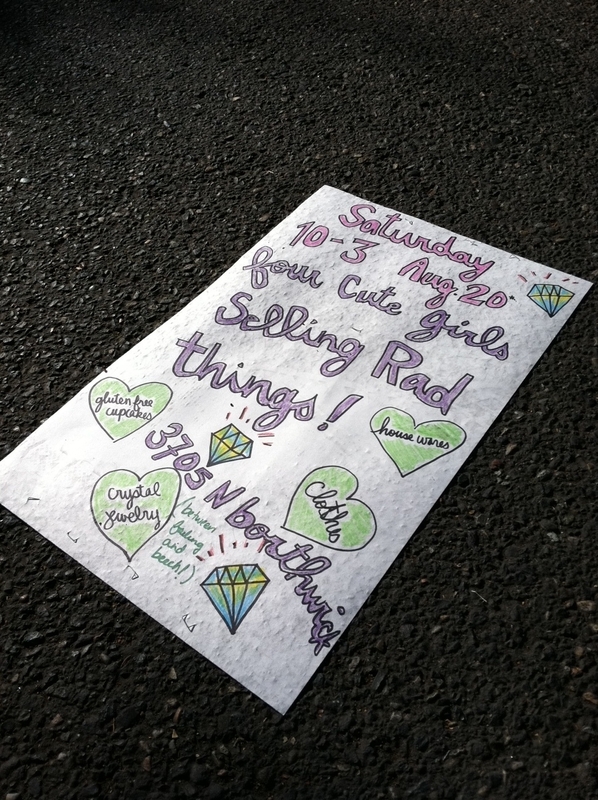 Energizing your yard sale will get big spenders. Energize your yard sale. Host it on the sunniest possible weekend that isn’t a holiday to get the most foot traffic. 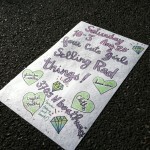 Post colorful “moving sale” signs on at least 10 corners within a one-mile radius; using PowerPoint slides printed on card stock and stapled to a garden stake is an easy way to accomplish this. Include neighbors in the sale so that there is a lot of inventory. Also invite your friends to drop by and create buzz. Consider serving cheap lemonade, iced tea or inexpensive snacks to entice people to take a look. You can put a “free box” right out front so people driving by can see it. Slashing prices on the spot is a great way to keep visitors engaged and in the shopping mood. The effort will pay off; we banked $2,000 at a one-day yard sale and it felt more like a party than work! The final installment of the lower the cost to move series is now available. This entry was posted in Cash4Books News & Updates, Do It Yourself, Saving Money and tagged cheap move, how to move, moving stories, moving tips, save money moving, yard sale how to on September 1, 2011 by Jim McKenzie Smith.